◎ It is highly unusual for Beijing to commemorate Yao Yilin. A commemoration was held in Beijing on September 6 to mark the 100th birth anniversary of Yao Yilin, a former Politburo Standing Committee member and vice premier. Yao also happens to be the father-in-law of Wang Qishan, a current Standing Committee member and anti-corruption chief. 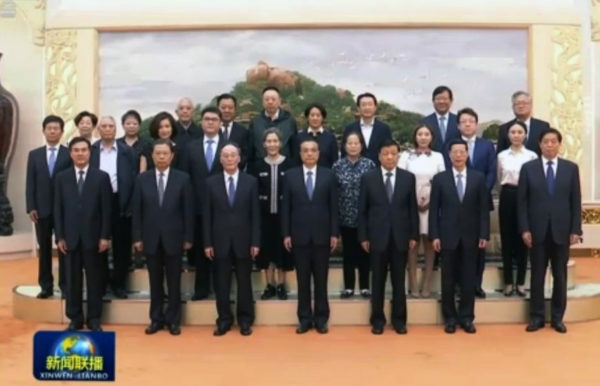 Attendees at the tribute to Yao include four Standing Committee members — Wang, Li Keqiang, Liu Yunshan, Zhang Gaoli — Wang’s relatives and influential Communist Party princelings (children of Party revolutionaries), as well as Xi Yuanping, the younger brother of Xi Jinping. State broadcaster China Central Television (CCTV) covered the proceedings. Context: It is highly unusual for Beijing to commemorate Yao Yilin, a Party elder with far less stellar credentials than Hu Yaobang, the reform-minded former Party leader whose centennial was marked by Xi in a 2015 symposium. The all-star attendees at Yao’s symposium and the high-profile media coverage are also very irregular. Xi Yuanping’s appearance suggests that the Xi-Wang alliance is going strong despite speculation over whether Wang will stay in office at the 19th Party Congress. The presence of Wang’s relatives indicates that they have not run afoul of the Xi leadership, contrary to allegations from Xi’s rivals. The attendance of prominent Party princelings like retired general Liu Yuan and political consultative vice chair Chen Yuan hints at their support for Wang Qishan.